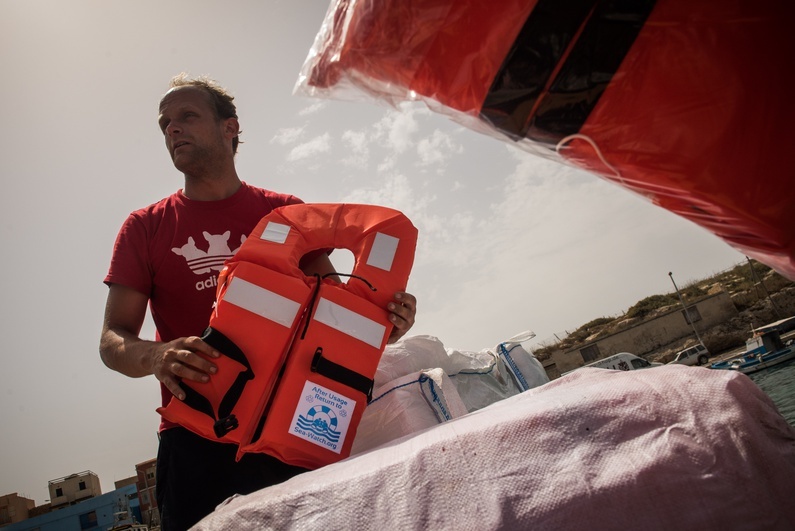 So far, Sea Watch has single-handedly saved 587 people in the Mediterranean Sea.After a rusty start, the crew managed to bring refugees safely to Europe with their private boat last week. Ruben Neugebauer himself was on board for two weeks. Back in Berlin, the journalist comments on the first rescue campaigns and the EU’s inactivity in migration politics. cafébabel: What runs through your head when you realise that you have actually accomplished your mission of rescuing people with a civilian vessel in the Mediterranean Sea? On the one hand, you feel incredibly happy. 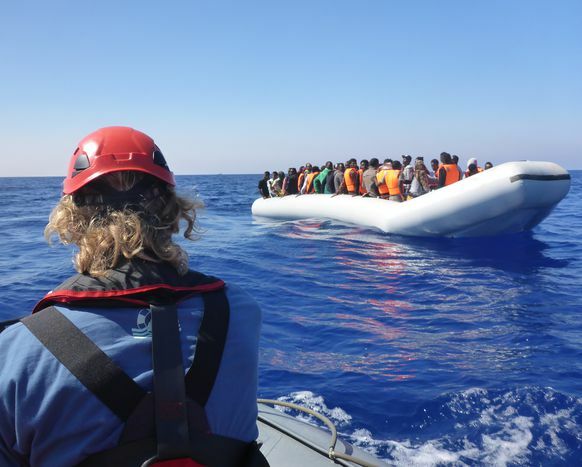 On the 8th of July, we tracked down the first refugee boat and were able to save 98 people. In the meanwhile we have completed six successful operations. It is a relief to see that the concept of Sea Watch is bearing fruit. Essentially, it was also an experiment. The boats that we found did not have a satellite telephone on board. We only detected them by doing control rounds. We are temporarily the only civil ship in the area. 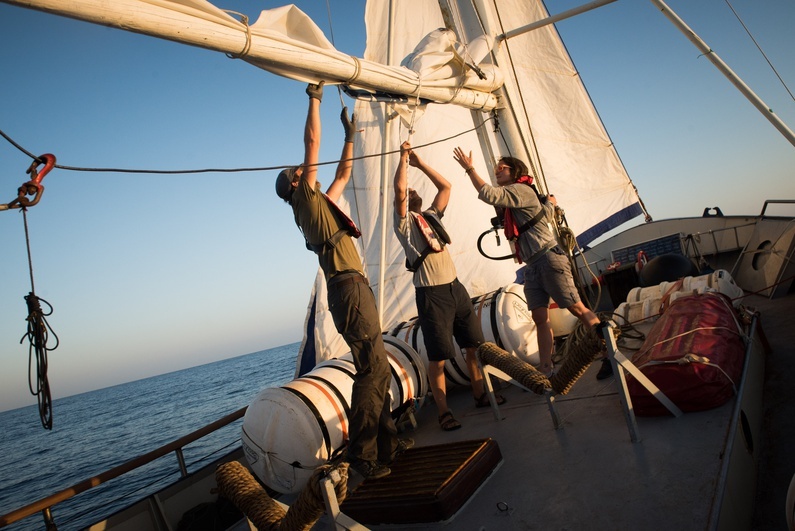 The others, like MOAS or Doctors without Borders, were full at that point in time and on the way to Sicily. Some boats were actually lucky that Sea Watch was there. At the same time it gets you thinking. Because, of course this means that people are constantly in life-threatening danger there. 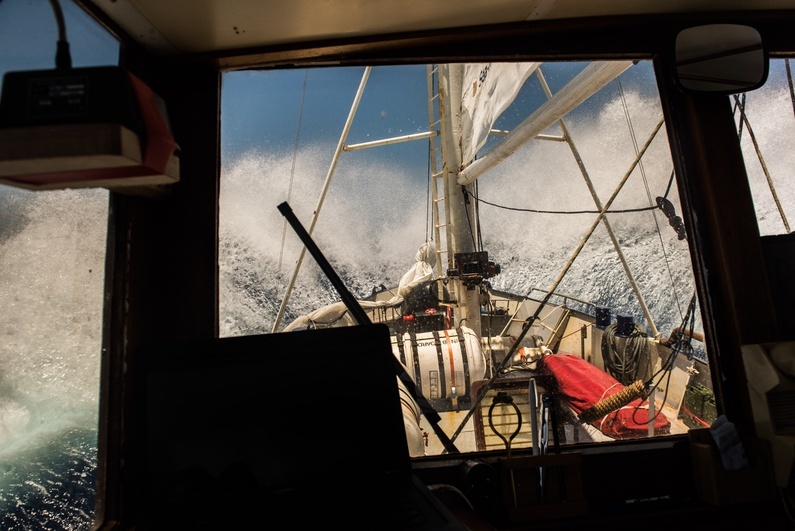 Being Sea Watch, we can save people, but we can’t solve the situation there. cafébabel: And who is able to solve the situation there? Well, you’d need legal ways of immigration for those people. 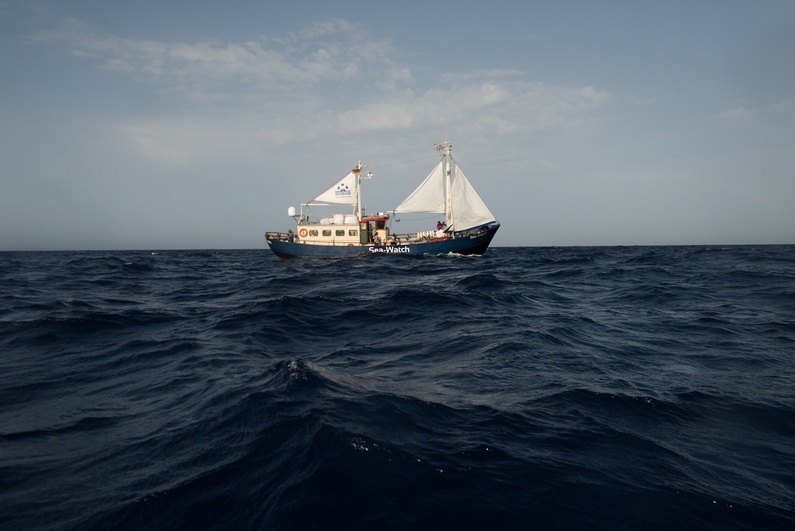 Until now we’ve found every boat barely 24 miles in front of Libya. They were in a desolate state. Libya is in the midst of a civil war. What’s happening within these 24 miles, nobody knows. 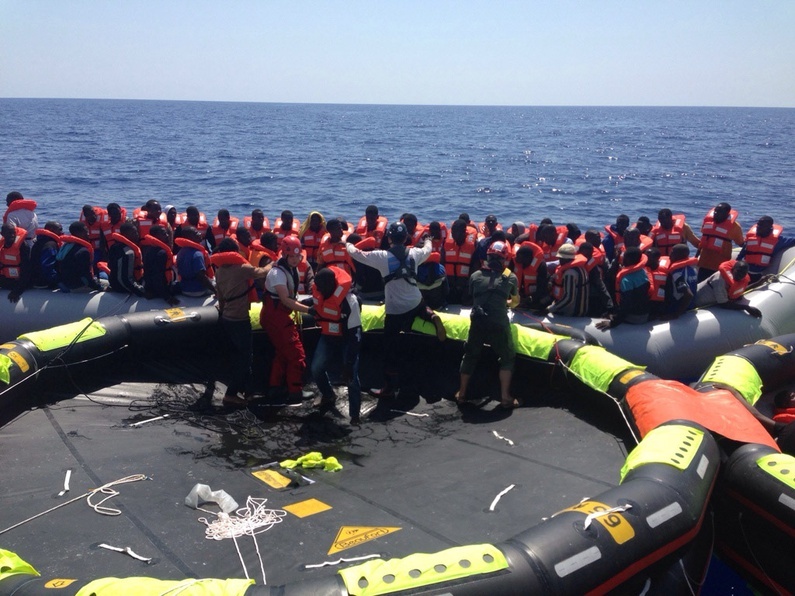 We are very glad about the rescue operations that have taken place so far, but at the same time every one of these cases shows that there is urgency for the EU to act. Every time a tragedy is possible. The boat that we found today had already been at sea for two days. On the first boat that we found one person had broken his leg. Probably that happened when he got on the ship. Often, there are many people on board, who cannot swim. Every one of these boats is full of people who are in acute danger. This shakes us up – and we hope that it does the same to others. cafébabel: How do you put away such experiences on a personal level? 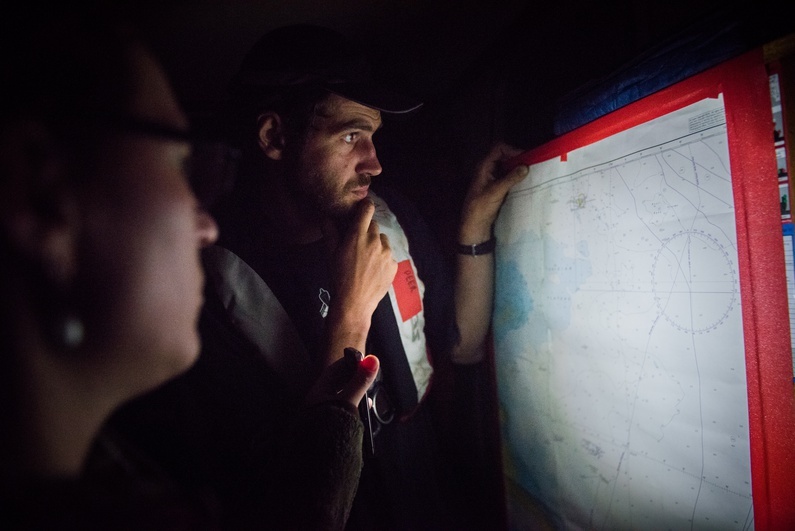 Although Sea Watch works on a voluntary basis, there are professionals on the boat. Frank Dörner, the former director general of Doctors without Borders, currently manages the medical crew. Many members of the crew have worked in disaster and crisis operations before. And the rest has received an according education as well. We have a paramedic who normally works on the North Sea. We are not a bunch of slobs as it has been presented sometimes. Of course, the operations are moving, but personally, doing nothing, I would have a harder time to put it all away. The pictures are well-known. In 20 years, nobody will be able to say that we did not know what was going on the Mediterranean Sea. cafébabel: How did you come across the project? I am a journalist and I partially worked in the countries of origin of the refugees. In 2013 I was in Syria. If you know what happens there, you want to do something. It’s a sheer coincidence that I was as lucky as to have been born in Germany; that I am not forced to flee. If I do nothing, I am also responsible for what happens. EU politics is basically forcing people on the boats. At the beginning of the year I got to know the project by chance and then I just contacted Harald [Höppner, the initiator of Sea Watch; ed.]. cafébabel: May every citizen who wants to help just hop on the ‘Sea Watch’? No, absolutely not. 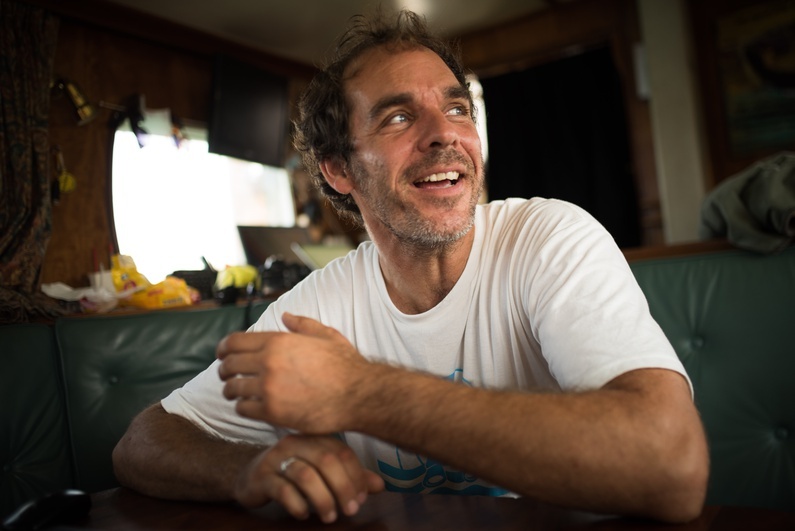 On the ship, there is a medical crew, a nautical crew and a place for journalists, because we also want the project to be effective as publicity. But in certain cases they have to get hands-on, too. Harald himself comes from the GDR. He experienced what it means to not be able to travel freely. When Germany celebrated the anniversary of the fall of the Wall on November 9 last year, he became conscious again that still today there are borders that limit the freedom to travel. The right to seek asylum that was principally fixed by the EU in their Charter of Fundamental Rights is farcical. For the people it is absolutely impossible to take the asylum law into claim without risking their lives beforehand. That’s why I find it impressive that he just donated his private assets [120,000 Euros; ed.] to found the NGO. cafébabel: There was some criticism coming from a Polish member of the crew, who said that Sea Watch takes a free holiday on Lampedusa. What happened there? I don’t feel like smearing each other in public. The accusations are untenable. The last days have shown this. He accuses us of not saving refugees. We react to this criticism with our actions. cafébabel: How do you detect the refugee boats? In Watch the Med, we have a very good co-operation partner. They receive emergency calls and contact us and the coast guards. We then get notice of the position and steer towards that direction. Then we put a speedboat on the water that can go up to 30 knots to be on site faster.That was the case for the first operation. It is also possible that we actually discover people via radar or binoculars. The last few boats were found like that. cafébabel: The course is set for the ‘Fortress Europe‘: Fences are being pulled up and Germany has just tightened its legislation on asylum. Why do you still continue doing what you do? Every secure way is cut by the EU. This forces the people to board these absolutely non-seaworthy boats. The only thing that they think of is to sink the boats of the people smugglers. I did not even take this suggestion seriously at first. And at the same time there is even a very easy solution to prevent the deaths in the Mediterranean Sea overnight. And that would be offering to the people to buy a ticket for the ferry! The ride from Tunisia to Sicily costs 80 Euros. No one would have to die. The EU has passed on the problem to the ferry companies and airlines, because [according to 2001/51/EC Council Directive; ed.] they have to carry the costs for the return themselves. Because of that they just don’t take anybody on board. For a union that holds the Noble Prize for Peace it is a shame that it just stands there, looking. We will continue as long as it takes, however. And at the moment it looks like it will take a whole while longer. Translated from Seenotrettung auf der Sea Watch: Flüchtlinge voraus!